Responsive company website for a real estate investments business. 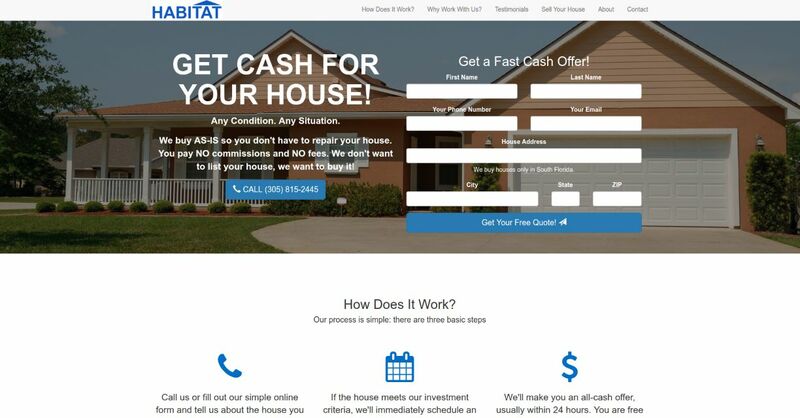 The objective was to design a clean, efficient, and fully responsive website for a real estate investments business. It needed to clearly describe what the company did, and include easy to follow call-to-actions throughout the site. It was made using the Agency template for Bootstrap, a fully functional form by Formspree, and several jQuery plugins for smooth transitions and a carrousel of testimonials.